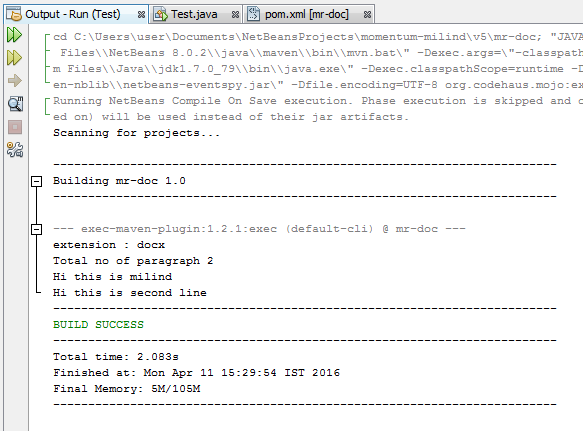 Following code will enable us to read Microsoft Word Document file using JAVA API. Following is the output of code. Thanks for having a read. Do comment below for your queries.